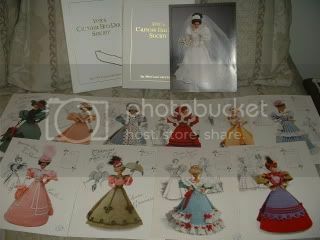 I have 5 sets of annies attic bed doll society patterns for sale and 3 loose bridal belle collection patterns for sale. i am asking $12.00 for each year but 1994. iam asking $10.00 for 1994 because it is missing nov. and dec. and has a marker mark on the front of the case. 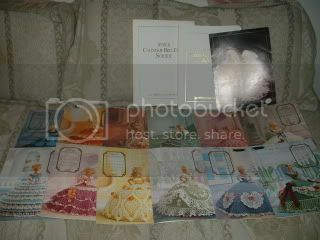 they all come with folders to hold them and a catalog case to hold them in. 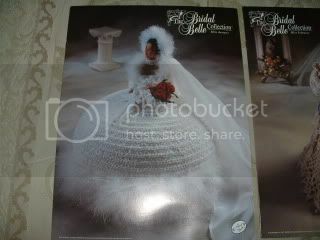 and they all come with a free bride doll pattern. they are all in good condition. 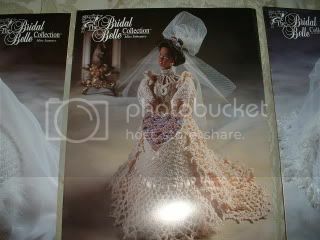 i am also selling 3 patterns from the bridal bell collection at $1.00 each. this link is 1991 collection. this link is 1992 collection. 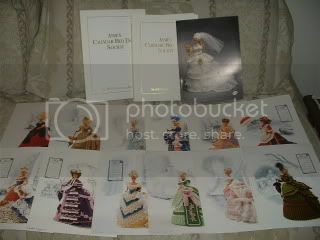 this link is 1993 collection. 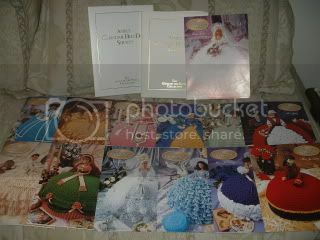 this link is the 1994 collection. this link is gems of the south collection. 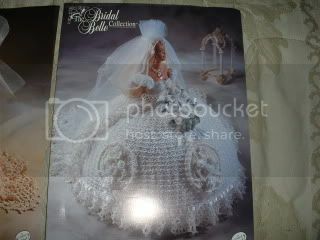 this link is bridal belle collection miss feb.
this link is bridal belle collection miss jan.
this link is bridal belle collection. yes i did. it was actually not that bad and they come out beautiful. i thought the same thing but it goes by fast. 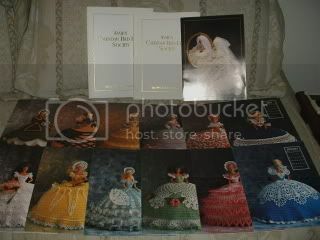 If anyone wants to see pictures of some you can look in the doll section and search for bed dolls or probably just dolls. Hello, do you still have the 1994 collection for sale? are any of these still for sale?